Pitchfork is teaming up with Paramount Network to throw a truly star-studded concert at SXSW 2018! 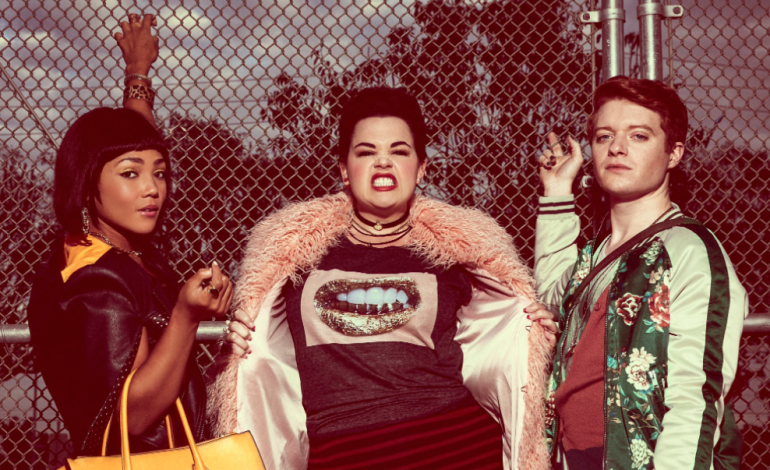 “Heathers” is an hour-long deathly dark comedy series based on the 1989 cult favorite, but the lineup for the celebratory party is going to be a killer attraction in its own right. The lineup features rising star Kelela fresh off her debut 2017 studio album, West Londoner and BBC Sound of 2018 Longlist-er Nilüfer Yanya with her gorgeous blend of modern stripped-back R&B grooves and deep, emotional vocals, relentlessly modern indie pop act Superorganism, New York’s upbeat rapper/singer/pop genre and gender stereotype-bending Shamir, and far, far more! The whole event is completely free, open to all who are 18+, and in Red River District standard Barracuda, guaranteed not to be far from wherever you are. Read on for full event details to make sure you don’t miss a thing! Check out the Pitchfork site for full details, but there’s no RSVP needed for this one. Just show up early – between the heavy lineup and the central location, this one is sure to fill up quickly. Bonus points if you watch “Heathers” on Paramount Network – it premieres on March 7th at 10/9c pm. The fully stacked lineup includes Kelela, Kevin Morby, Shamir, the famous party-hard intensity of Andrew W.K., New York synth-pop Porches, Ought, East coast indie rock outfit Snail Mail, Nilüfer Yanya, Lucy Dacus, JPEGMAFIA, Superorganism, and Topaz Jones. This is a seriously stacked show, make sure you don’t miss this one!